Andy discusses sour beer blending. The Church of Zymurology loves sour beers, although admittedly that has not always been the case. During the early founding of our order we shunned beers that were sour as they were considered unclean, but over time we gradually appreciated the flavors imparted by lactobacillus, pediococcus and the like. we also came to appreciate the fine art of making and blending such beers, as has been done for centuries in Belgium. Pioneering breweries in the United States such as Allagash and Russian River dared to delve deep into the realm of sour beers and many have since followed including New Belgium which shook the beer world by widely distributing La Folie roughly ten years ago. In recent years breweries such as Cascade, Crooked Stave and Jester King have made a name for themselves and a cult following among sour beer aficionados. Sour beer might well be the new darling of the America craft beer world and everyone seems to be joining in with their own barrel programs. In some cases the more adventurous are propagating wild yeast and bacteria or installing cool ships. Last week the Priestess and I were fortunate enough to attend a sour beer blending session at Avery Brewing with Andy Parker, the barrel wrangler. 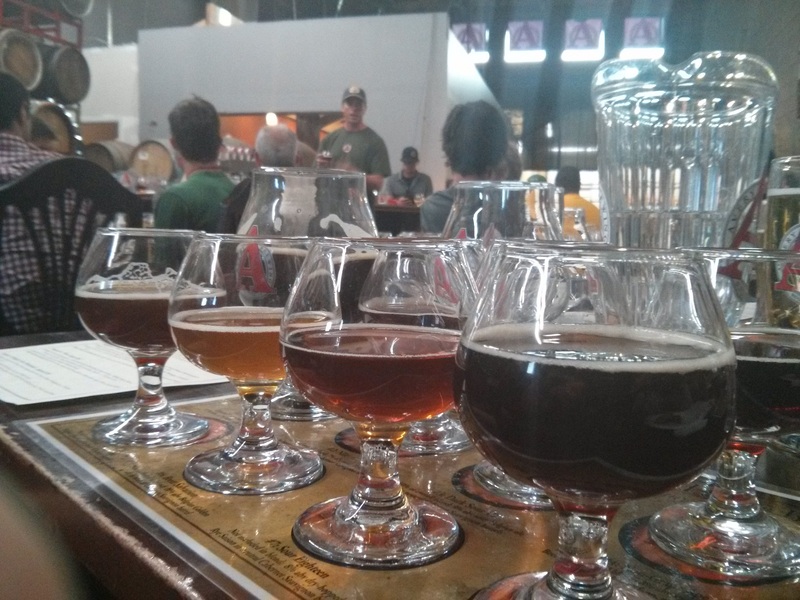 The focus of the tasting was a deconstruction of the various components of Eremita V, their newest sour creation that utilized four very different barrel aged beers. In addition we were presented with three additional beers that didn’t make the cut mainly due to off flavors. Eremita V is a wine-like dark sour beer with complex flavors of dark fruit and wood tannins that carries a significant lactic and acetic acid driven bite. It’s components were comprised of Nile, a sour framboise and my favorite beer of the night, Dark Sour V2, a sour beer aged in Cabernet barrels but darkened partially with Sinamar (not sure how I feel about this), Non Grape Ape aged in Zinfandel barrels, and Whiskey Sour Reverend Barrel L28 aged in Leopold barrels. We were given ample tastes of each and allowed to blend at our leisure while Andy talked about their sour program and some of its intricacies. As he pointed out, in the US many brewers are taking their own approach which in some cases differs significantly from the traditional path employed in Belgium. While some take a methodical approach with exact dosing and temperature control measures, others throw excess wort into wine barrels and set them off in a corner to see what happens. The talk was informative in that it provided insight into what Andy looked for with regard to blending and how he perceived each component and what it added, although he was quick to point out that we all taste things differently and his blend is not necessarily the blend each of us would have come up with. 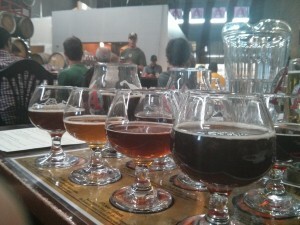 The exercise was refreshing and reminded me once more of the rapidly evolving nature of sour beers in America. I can’t wait to see what happens next.